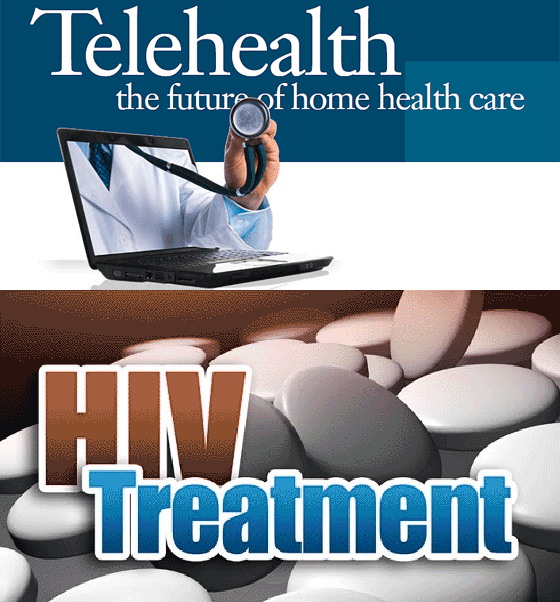 Since October 2012, Dr. Michael Ohl of the Iowa City VA Health Care System has been conducting a study to see if Telehealth services could provide better treatment for rural veterans with human immunodeficiencyvirus (HIV). As a result of that study, Dr. Ohl is now creating a program called Telehealth Collaborative Care, which uses videoconferencing to connect VA specialists with rural veterans who have HIV. HIV is a chronic condition that attacks the body’s immune system. Lack of care due to reduced access to quality treatment can have serious consequences, including the development of acquired immune deficiency syndrome (AIDS), which can be life-threatening. There are 26,000 veterans receiving care for HIV from the VA, 18% of whom live in rural areas and do not have access to the high-quality care provided at HIV specialty clinics. Telehealth Collaborative Care allows rural veterans to participate in videoconferences at nearby VA community-based outpatient clinics (CBOCs) to receive ongoing care from an HIV specialist at a large VA medical center. Other professionals, such as psychologists, HIV pharmacists, or nurse-care managers can also participate in these videoconferences, allowing the veteran’s on-site primary care doctor to coordinate with the specialty clinic to co-manage the veteran’s care. This process takes a huge travel burden off the veteran. The Telehealth Collaborative Care program currently includes about 800 veterans who live in rural areas near Atlanta, Dallas, Houston, and San Antonio. Each of these cities has a VA hospital with an HIV specialty clinic. If this program is successful, it may then be expanded to other areas.